Daniela received a B.A. in Psychology from California State University, Fullerton and an M.A. in Human Factors & Applied Cognition from George Mason University. She spent her first four years in the doctoral program working with Dr. Carryl Baldwin in the Auditory Research Group and the Mason Transportation Institute. 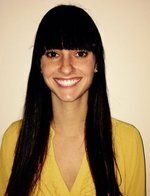 Currently, Daniela is a doctoral student working with Dr. Yi-Ching Lee in the Health Behaviors Lab. Her general research interests include driver inattention, mental workload, perception, and mind wandering. Daniela is the president of the Computer-Human Interaction (CHI) Student Group, the webmaster for the Human Factors website, a peer reviewer for the Journal of Mason Graduate Research and the Journal of Behavioral Health, and a member of GMU Psi Chi. She also serves on the OSCAR Student Scholarly Activities Committee and on the advisory board for the Journal of Behavioral Health.